Bitcoin (BTC) is trading at 5188 USD and is currently holding support on some of the faster EMAs (9) on the 12 hour chart and is bullishly staying well above the 200 day moving average. 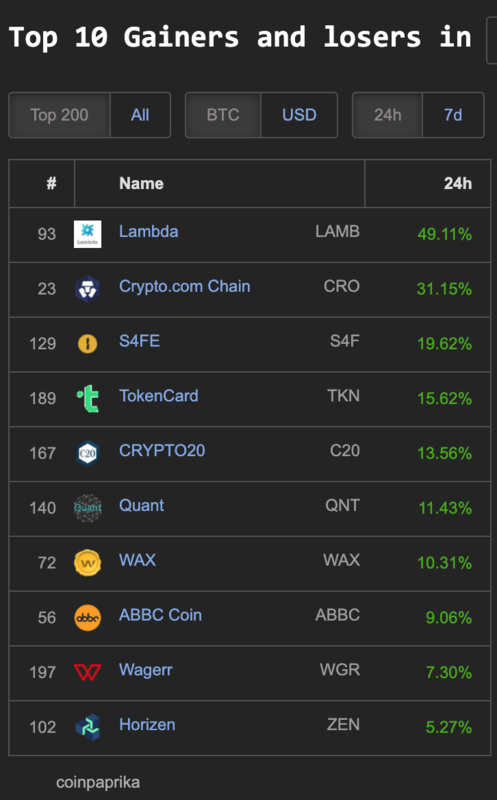 The top double digit gaining cryptos in the 100 market cap coingecko.com today are Lambda (LAMB) 47% and Crypto.com Chain (CRO) 29%. 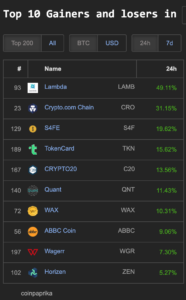 Coins leading within the 200 market cap on Coinpaprika.com: Lambda (LAMB) 49%, Crypto.com Chain (CRO) 31%, S4FE (S4F) 19%, TokenCard (TKN) 15%, Crypto20 (C20) 13%, Quant (QNT) 11% and WAX (10%). 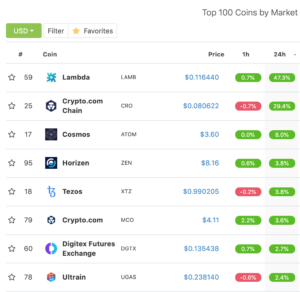 Greenest coins in the top 200 market cap on coinpaprika. 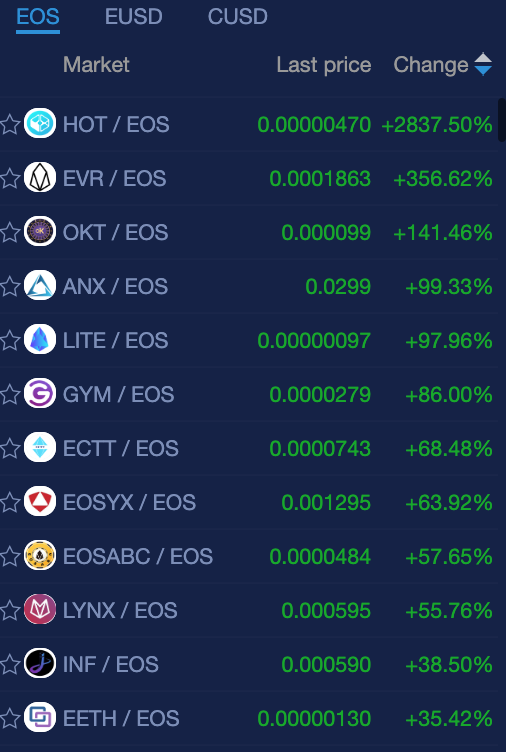 Surging in the green (unlike the majority of the crypto market) are projects listed on NewDex.io, the EOS gambling coin HOT gaining 2,837% and two other triple digit gainers EVR (356%) and OKT (141%). 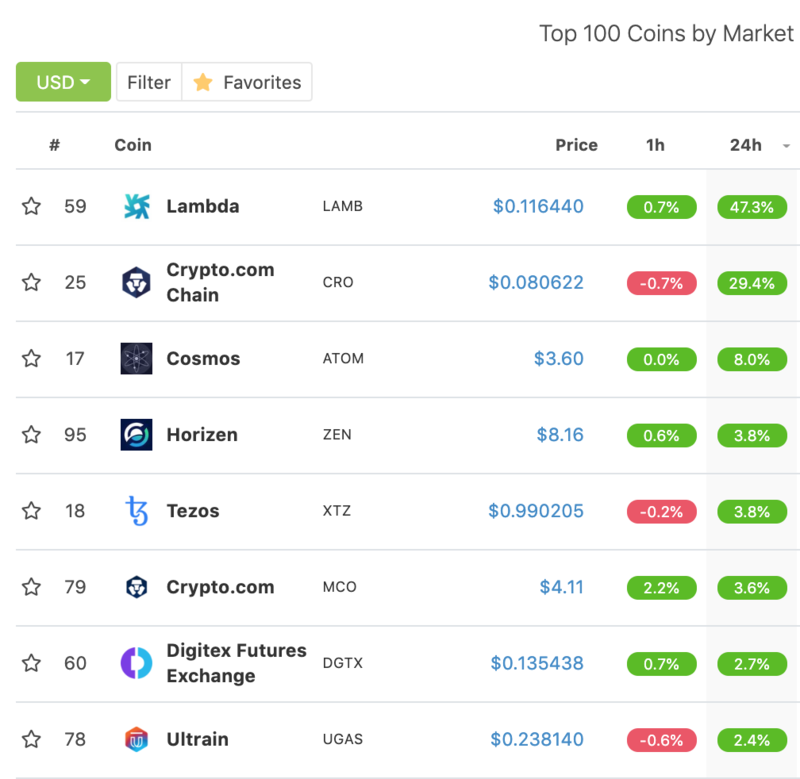 There are also 20 coins with double digit gains, some of the non gambling coins/tokens include: ANX (99%), LITE (97%), GYM (86%), ECTT (68%), LYNX (55%), INF (38%), EETH (35%), SEEK (35%), ADD (32%), BLACK (30%), POOR 21%, PGL (15%), TPT (11%) and BOID (11%). 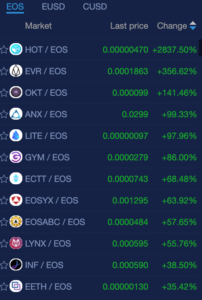 Coins trading with EOS on newdex.io are found gaining the most today.